The beautiful roaring Rynji Falls is in Cham Cham village and away about 3 Km from Mutong village towards south of the Moopun Falls. 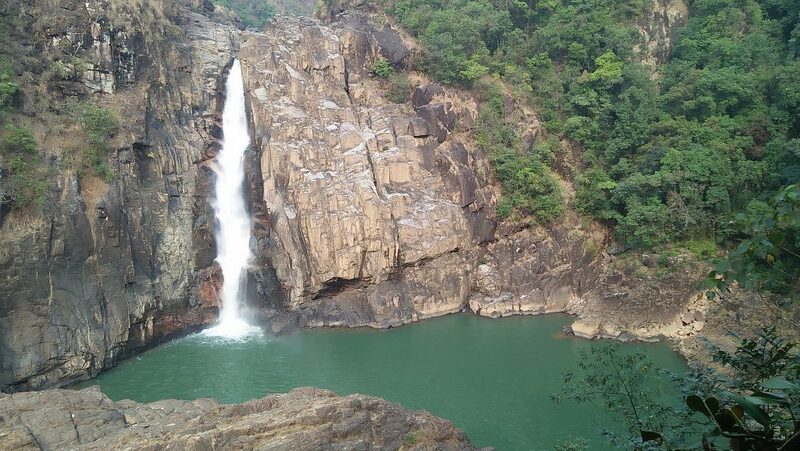 For nature lovers and trekkers Rynji Falls is the perfect destination to experience the eco-trail. 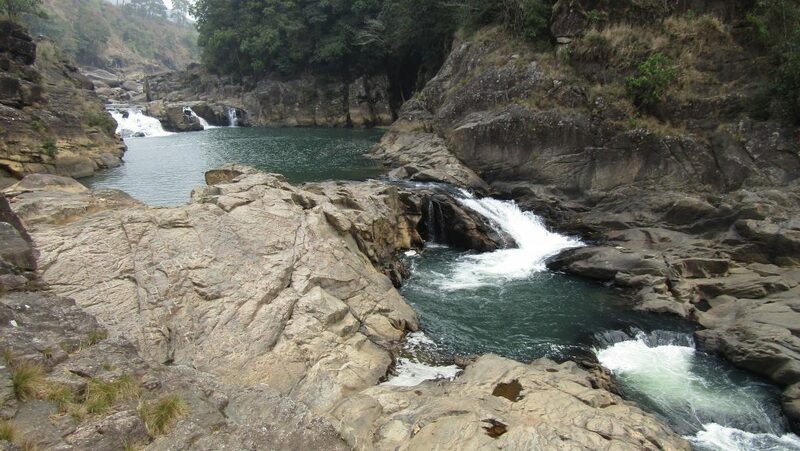 The mighty hard rock formation encircling the Rynji Falls reveals more to its natural beauty. The “stepping natural ponds” above the Rynji Falls added unique attraction for adventurers and nature lovers and is a perfect place for fish angling and eco-trekking activities. The Rynji Falls is well connected with good footpaths and pedestrian bridges inside the forest. 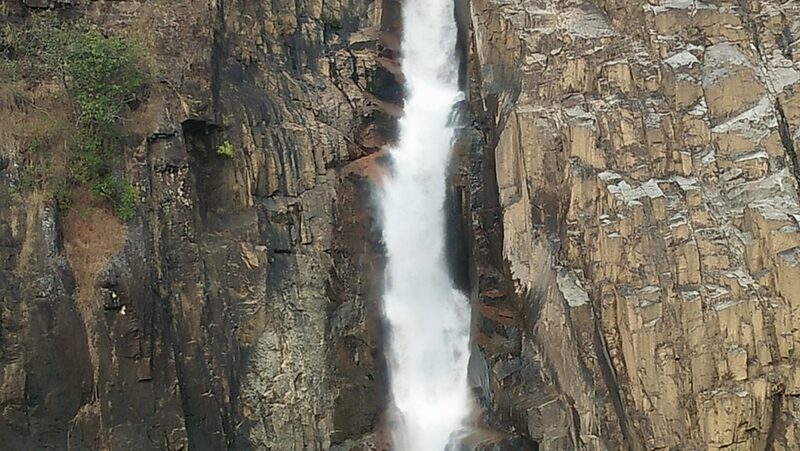 Visitors and tourists can come and experience this mersmerising falls all throughout the year. The nearest Airport is in Shillong which is known as the Umroi airport. It is a civilian airport located at Umroi at a distance of about 97 km from Khliehriat, the Head Quarter of East Jaintia Hills District. An international airport is located in Guwahati, Assam which is known as the Lokpriya Gopinath Bordoloi International Airport. It is at a distance of about 203 km from Khliehriat. The nearest railway station is Guwahati Railway Station located in Assam. It is about 182 km away from the Head Quarter of East Jaintia Hills District. One can book taxis from Khliehriat to Cham cham Village. One can stay in Khliehriat at Guest houses.